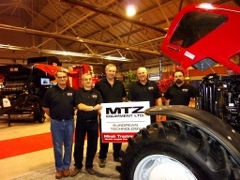 Trade Shows | MTZ Equipment Ltd. 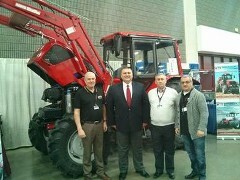 The National Farm Machinery Show is held at the Kentucky Exposition Center in Louisville, KY, every year in February. More than 850 exhibitors display their latest products at this largest indoor farm show in America, attracting more than 300,000 people every year. The Ottawa Valley Farm Show is Ontario's largest, longest running agricultural trade show. Of particular interest to farm families and other rural residents, the show features 300+ commercial exhibitors offering everything from machinery and equipment, to computer and financial services. Every year, the show attracts about 12,000 visitors over the three days. 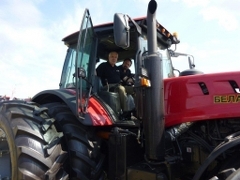 "MTZ Equipment" representatives, President Alexander Zevin, Vice-President Arie Prilik and Technical Director Ian Higginson, visited the largest agricultural exhibition in Belarus.